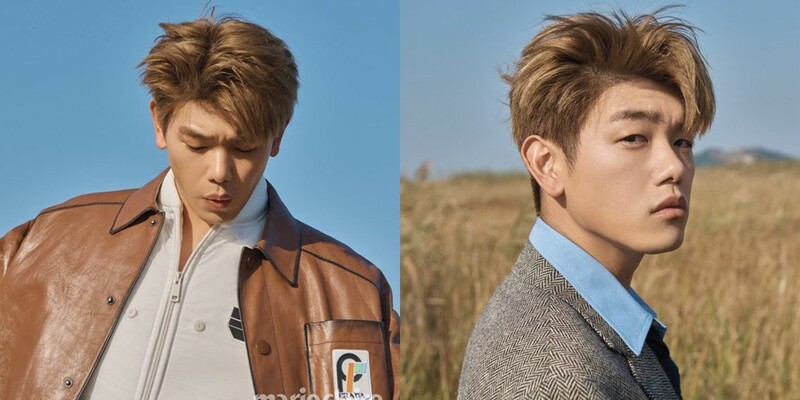 Eric Nam opened up about his career so far, his upcoming single "Miss You", and more for 'Marie Claire' magazine! 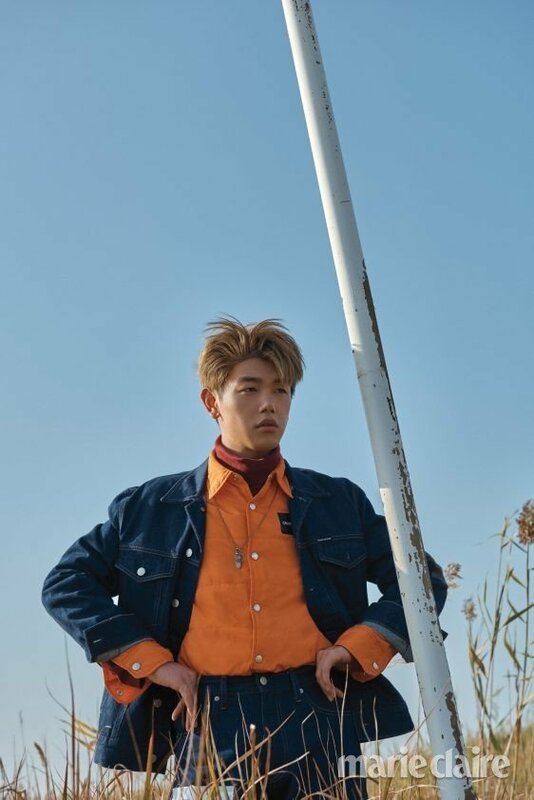 Showing off various casual fall fashion styles in a rich, brown field, Eric Nam also discussed the difference between writing lyrics in Korean, and in English. 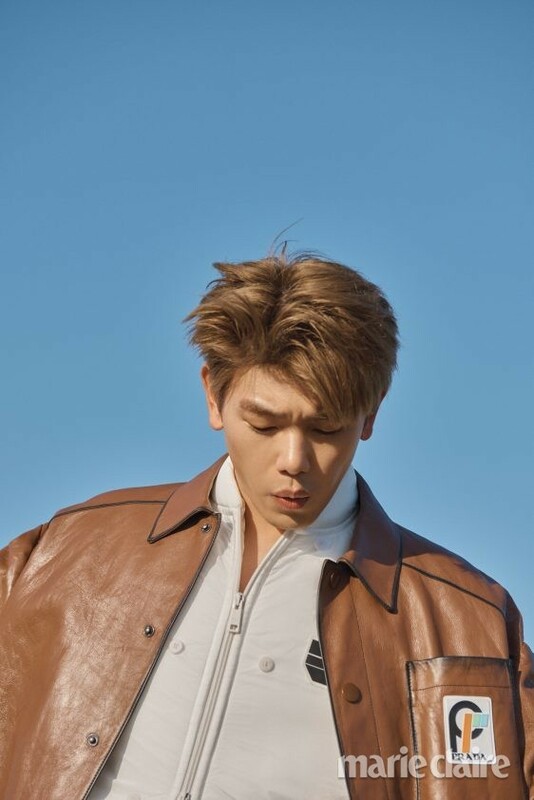 "I always begin with English", Eric Nam said, "After that, I either translate it word for word in English, or end up changing the contents entirely in the Korean version, and it's the hardest process. 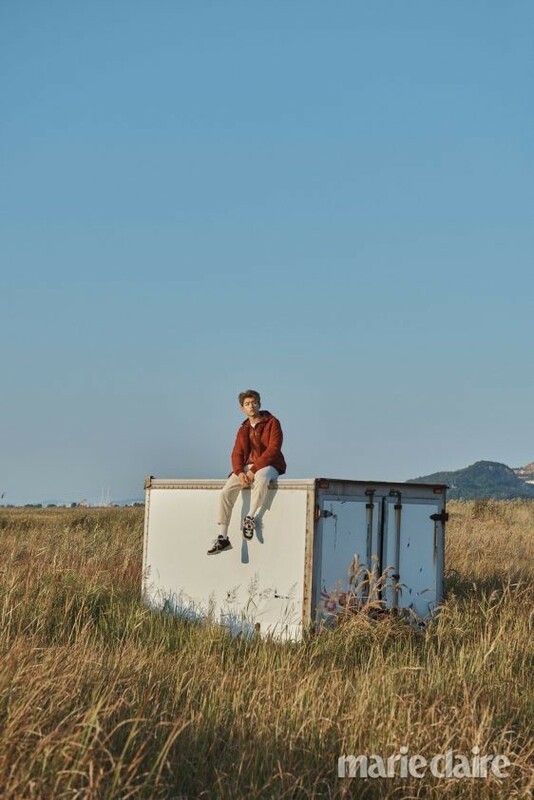 I had a lot of trouble translating my last title track 'Honestly' from English to Korean, and it took a long time. Writing lyrics is the most difficult part." 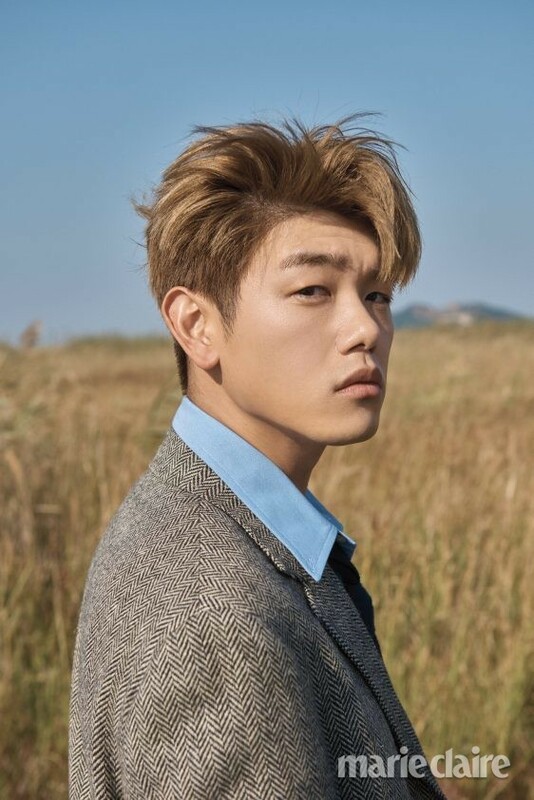 Regarding "Missing You", which Eric Nam also wrote the lyrics for, he confidently revealed, "This song was actually supposed to be a part of my mini album. But the company liked it and I also like this song a lot so it was too good not to use as a title track. So it ended up being released separately in the fall." Eric Nam also opened up about his 'likes', with, "I have fun coming up with new ideas. 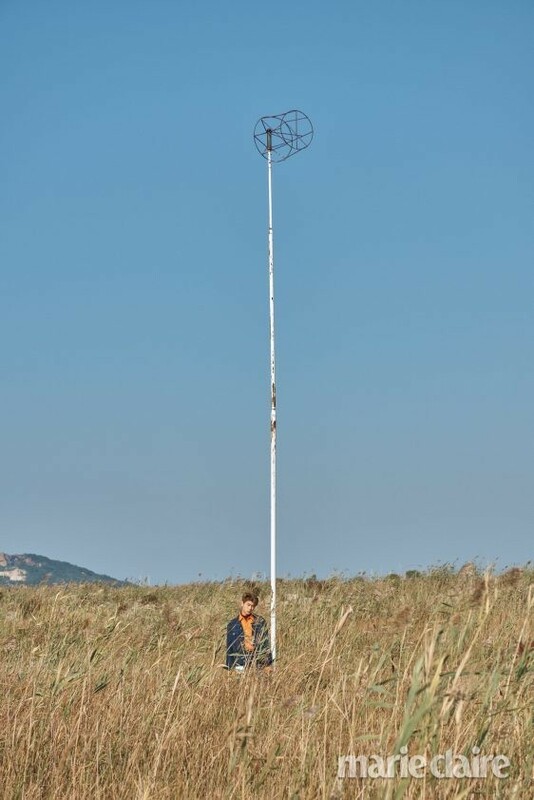 It doesn't have to be music, it can be contents or business. I like debating as well. I talk a lot with Tablo hyung and BTS's SUGA, and a few days ago, SUGA suggested that we try starting a book club. But it's kind of hard for me to read full novels in Korean... (laughter.)" 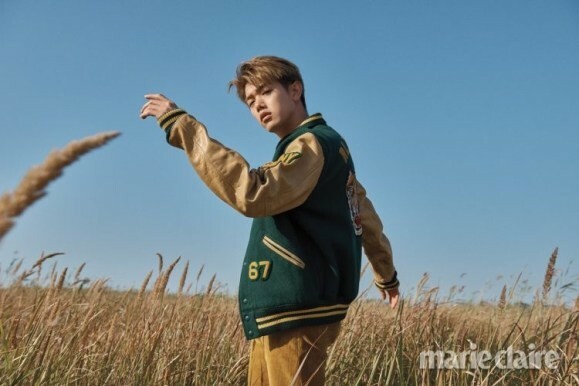 To read Eric Nam's full 'Marie Claire' interview, visit the magazine's official website here. studying. My ultimate goal is to become a content- or culture-creator"
musicians. It'd be nice if I can let the world know their music."